MANILA -- Benjamin Alves is set to play former president Manuel Luis Quezon in the third and final installment of director Jerrold Tarog's trilogy on the Philippine revolution that began with last year's phenomenal "Heneral Luna." 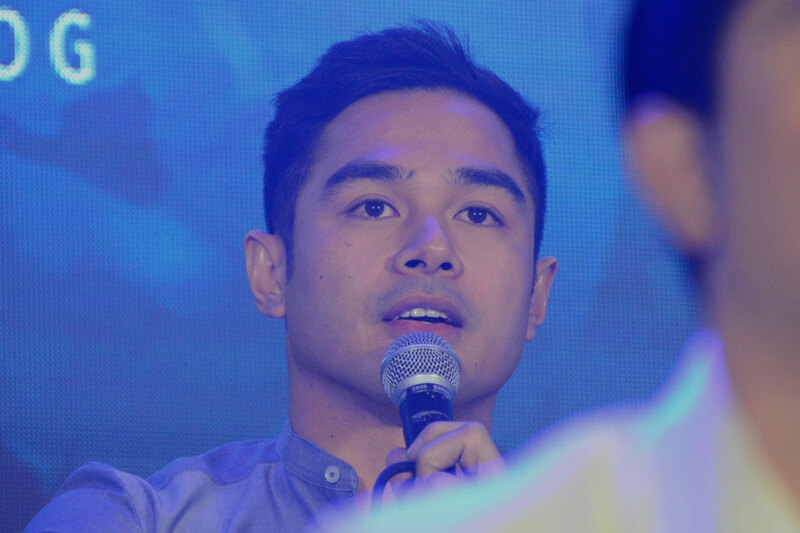 At the press conference for the second part of historical trilogy, "Goyo: Ang Batang Heneral," Alves expressed his excitement over his upcoming project. "Six years ago, I was in a room doing an audition (for 'Heneral Luna') in front of (the producers and director) not knowing that after six years I will be in front of you talking about Goyo. Ang layo na po nang narating from just a piece of paper, reading that, tapos ito na ang napuntahan natin," Alves recalled. "I'm confident na after this film, we will gain momentum for a Quezon film. Again we have to celebrate what's happening now and that's Goyo," he added. For filmmaker Jerrold Tarog, it is important to watch "Heneral Luna" and "Goyo" first to better understand the movie about Quezon. "You need to watch the entire film para maintindihan niyo 'yung takbo ng timeline nung trilogy. Importante na mabuo 'yung trilogy. Sa third film, mas malaki na 'yung point of view ni (Emilio) Aguinaldo," Tarog said. "Kasi 'yung mga pelikula na 'yan ay depende kung kaninong point of view ang kuwento. So kay Luna, obviously kontrabida si Aguinaldo. Dito (sa 'Goyo') medyo nasa side ni Aguinaldo ang point of view ni Goyo and magiiba na naman ang point of view hopefully pagdating sa Quezon," the director explained.